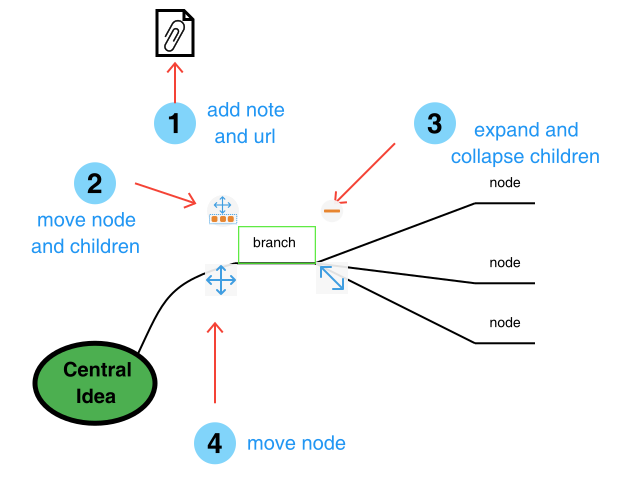 New mind mapping workflow is added in this Android patch 1.8.0. This workflow is to simplify the creation of mind map. You can create a mind map by choosing the mind map option when creating a new file. To begin, you start by drawing your central idea shape and then type in the central idea immediately afterward. From the central idea, you can simply draw out branches any way you want either with straight, curve, or multi-step lines. 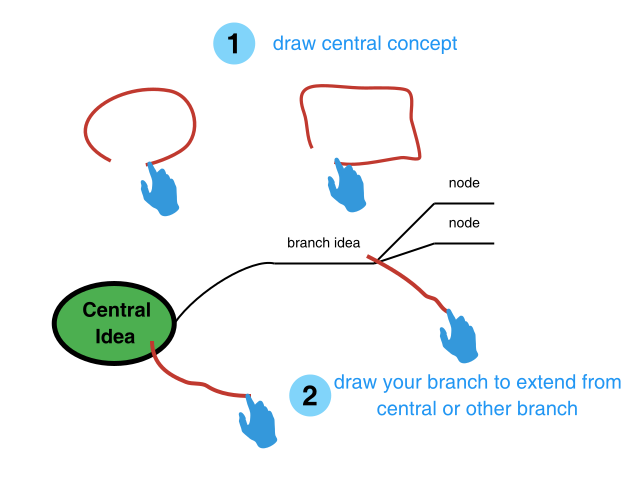 It is easier to edit branches looks and feels by redrawing the connector line again. For example, drawing a straight line on a curved connector will act as a quick replacement command. You can re-route children node by simply selecting the start point of the connector and drag it to other parent node. 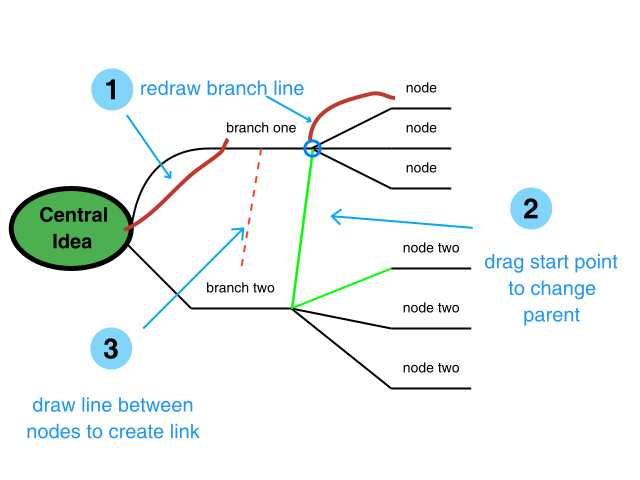 Finally, to draw link between existing nodes you can just draw line connecting them.